Terry has served our community for the past 15 years as a dynamic and outspoken Hamilton Mountain City Councillor and he is now seeking the Liberal nomination to be your next Member of Parliament. We need to elect a strong representative to ensure that the people of Hamilton Mountain have a strong voice in Ottawa. Terry will work with Prime Minister Justin Trudeau and the Liberal government to ensure Hamilton Mountain has a seat at the table. If you are registered as a supporter on Hamilton Mountain. You Can help Terry secure the nomination by voting on February 20th at Michelangelo’s Banque Center At 1555 Upper Ottawa St. The time is TBD. What are Hamilton Liberals Saying About Terry Whitehead? I have had the opportunity to work closely with Terry Whitehead and have always been impressed with his diligence and leadership in representing his constituents and the City of Hamilton. As a former riding president in two ridings, I am proud to fully support Terry as the nominee for the Hamilton Mountain Liberals. I have known Terry Whitehead as an assistant to Federal and Provincial politicians, as the Executive Director to a former mayor, as a Councillor when I was Mayor of the City of Hamilton and as a Councillor when I was not. In all of his roles, Terry brings a determination that can only be described as dogged. He is tenacious and passionate in representing his constituents and he is effective in achieving results. Terry Whitehead would make a superb representative for the citizens of his riding and the City of Hamilton. I have known Terry Whitehead for 20 years and I can say he is a dedicated Liberal who would make an excellent candidate in the upcoming federal election for the Liberal Party of Canada. Terry Whitehead has my full support. Councillor Terry Whitehead has the name recognition and experience necessary to give the Liberals a chance to win Hamilton Mountain. I am pleased to give Terry my full support. As a Liberal and long-time City Councillor, Terry Whitehead has developed a strong reputation as a fierce advocate for his constituents and Hamilton Mountain. As a widely respected leader with strong relationships at the municipal, provincial and federal level, Terry has a deep understanding of the issues and concerns that impact the families of Hamilton Mountain. Terry is unquestionably not only the best choice to be the next Liberal candidate for Hamilton Mountain, he is the only choice for those that want to win. Terry Whitehead has a proven track record of success on election day. Terry is the best candidate to restore Liberal representation on Hamilton Mountain, and he will help form another majority Liberal government. Councillor Whitehead has fought on behalf of Hamilton Mountain voters for the past 15 years and he would make an excellent candidate for the Liberals in the upcoming election. Terry Whitehead has what it takes to win this riding back and has my full and unwavering support. 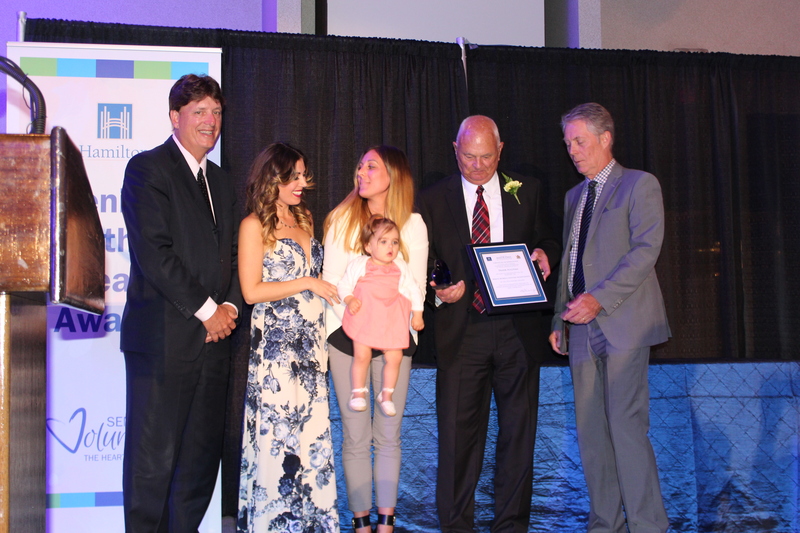 Terry Whitehead has long made a home with his wife and four children in West Mountain and is committed to making the City of Hamilton a better place to live, work, play and raise one’s family. A very visible and vocal full-time councillor, he is now in his fifth term of office and participates in numerous agencies, boards, and committees on behalf of West Mountain constituents. Terry has been instrumental in resolving issues for the City of Hamilton and its organizations, businesses and residents. He was directly involved in negotiations with the Red Cross, Canadian Blood Services, Health Canada and the Hamilton Branch of the Canadian Red Cross Society which preserved two hundred jobs within our community. Terry was also directly involved in the negotiations between the City of Hamilton and its Port Authority resulting in the settlement of a one hundred million-dollar lawsuit and the return of the city’s west harbour to the people of Hamilton. With the help of Community Council, he introduced “Movie Night in the Park”, bringing neighbours together as a community to enjoy fun for the whole family. The grassroots project has met with such success that it is anticipated to be an annual event. Over the last number of years, Terry was the only one to speak out about the creation of the Southern Ontario Economic Development Agency. Due in part to these efforts, the Federal Government has established the Regional Development Agency for Ontario to help with the province’s recovery, particularly as Southern Ontario was one of the areas hardest hit by the economic downturn. It was recently announced that $1 billion in funding over the next few years would be available to primarily help the area’s manufacturing industry. He also championed the Business Ambassador Program, a network of local leaders with a passion for promoting growth and investment in Hamilton. Economic development directly influences the sustainability and prosperity of communities. To that end, Terry pushed for the implementation of a Business Ambassador Program and through the evolution of this program a flash disk to showcase the benefits of living and working in the Hamilton area was created. Our municipality is the only one to use this technology for which we won a national award. A sign we are on the right track in encouraging businesses and families to move to the Golden Horseshoe. © 2019 Nominate Terry Whitehead for Hamilton Mountain. All Rights Reserved. After careful consideration, I have decided not to pursue the nomination for the Liberal Party of Canada for Hamilton Mountain. I would like to thank all the dedicated Liberals who put my name forward for your amazing support. While the opportunity to possibly serve as your MP was humbling, the timing is not right for me. I look forward to continuing to serve the people of Ward 14 as their City Councillor.